Vanquish your foes with honor and strength as you wield the Hans Stage Combat Sword. 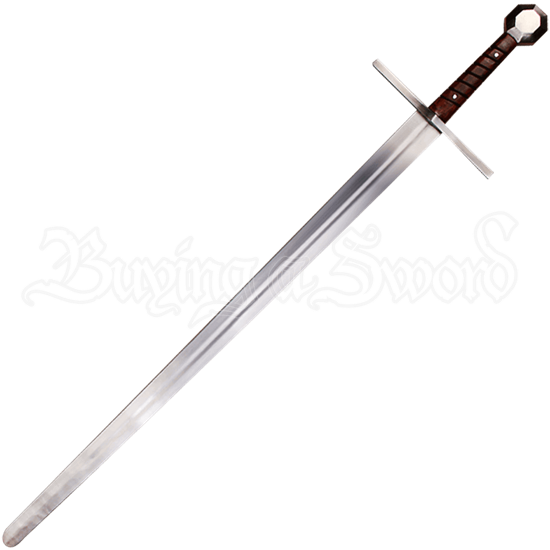 Made of high-quality spring steel with a stylish wooden grip, this stage combat weapon is inspired by the swords typical of medieval knights. 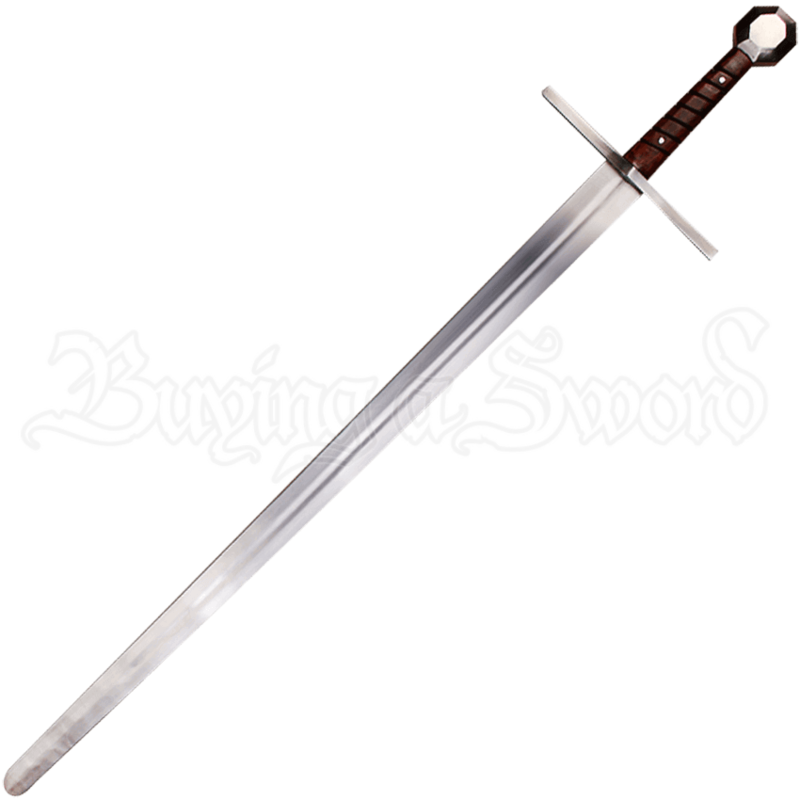 The long blade has blunt edges and a rounded tip to ensure safety, and a long fuller details its length. Above the dark wooden hilt, the straight cross guard accentuates the blades stern and noble style while the octagonal pommel below lends a unique touch to its design. 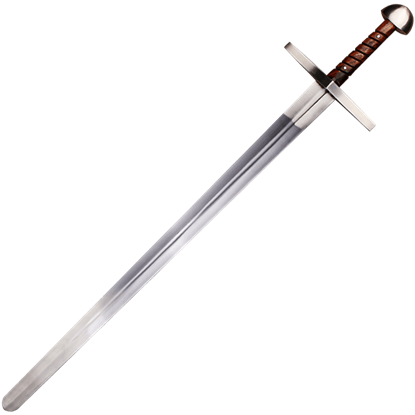 Arm a combatant in your next stage skirmish with the Hans Stage Combat Sword, or let its stately and historically inspired looks add essential detail to any noble knight costume. Any notches seen along its length are not defects but the results of its resistance testing.  Take on the role of a fearsome knight of the Middle Ages when you fight your staged battles with the Hans Stage Combat Sword.